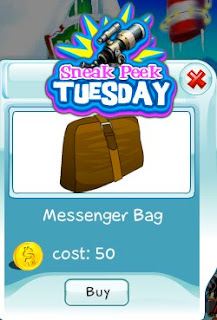 This week's Sneak Peek Tuesday feature is a really cool Messenger Bag. Put your stuff in this bag and cruise around SecretBuilders. Get this item today before the limited sneak peek ends.